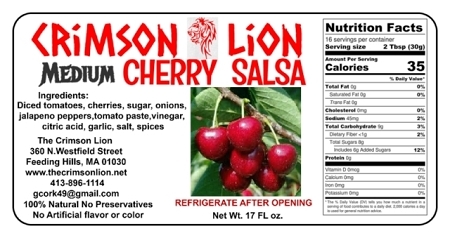 Home > Shopping Store > Fruit Salsa Shopping Cart > Cherry Salsa-17 oz. Cherry Salsa This cherry salsa recipe is fresh, fruity, and tastes incredible! Serve with chicken, pork, Tilapia, and of course tortilla chips.